There are items in your truck. You have no items in your truck. Made to high-end furniture standards. 2-10 year warranties. Lifetime tech support. Nationwide insured shipping & installation. 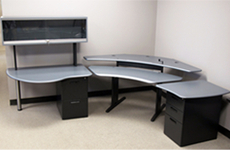 At Biomorph, we specialize in helping clients find the right ergonomic desk to suit their needs. 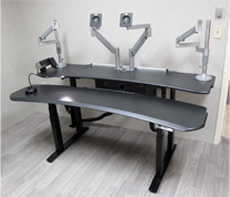 Here, you will find adjustable desks that can accommodate different body types to provide the most comfortable working posture possible, all with the ability to adjust from a sitting to standing position at a turn of a touch of a button. 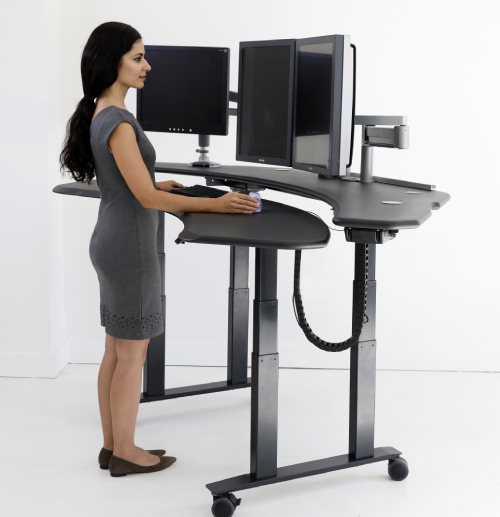 An adjustable stand up desk is the perfect solution for improved health and productivity. What is the importance of a desk that can be adjusted so that its user can work while standing? There’s a growing body of research that shows sitting at a desk raises the risk of many serious health conditions. 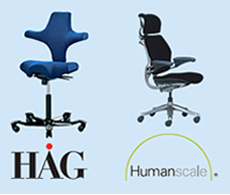 If you’re a regular desk user, you likely already know the importance of an adjustable desk chair, but you may not realize just how much sitting for hours each day is taking its toll on your health and your productivity. When you have an ergonomic computer desk that's adjustable, and you aren’t forced to sit all of the time, you almost immediately notice an improvement in the way one feels. Aches and pains are minor signs and symptoms of an ill-designed work space, and in fact, sitting in front of a computer, at a desk that isn’t adjustable, could cause stress related injuries or lead to health conditions like diabetes. 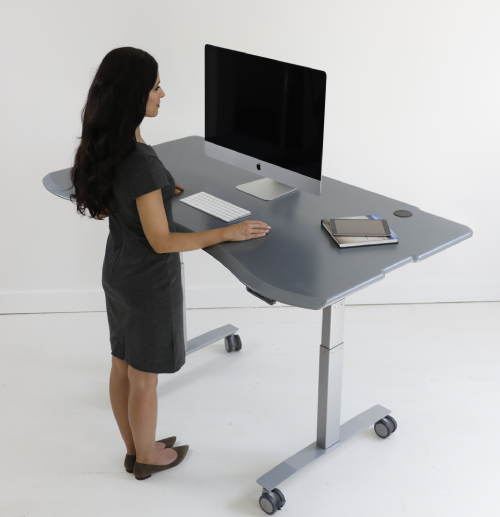 Switching to a standing adjustable desk, you will notice that it’s easier to focus on your work because you’re so much more comfortable. 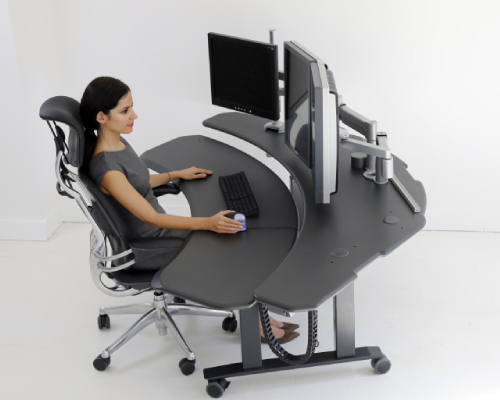 Over time, an adjustable desk could lead to a dramatic improvement in your employees’ or your own productivity, whether you're working at a home computer, PACS station or in a multimedia studio. Copyright 2017. Ground Support Equipment (U.S) Ltd. DBA Biomorph, All RIght Reserved.